What is the purpose of the Retractable Belt Barriers? This belt barrier is here to help you control a crowd even in the busiest situations. 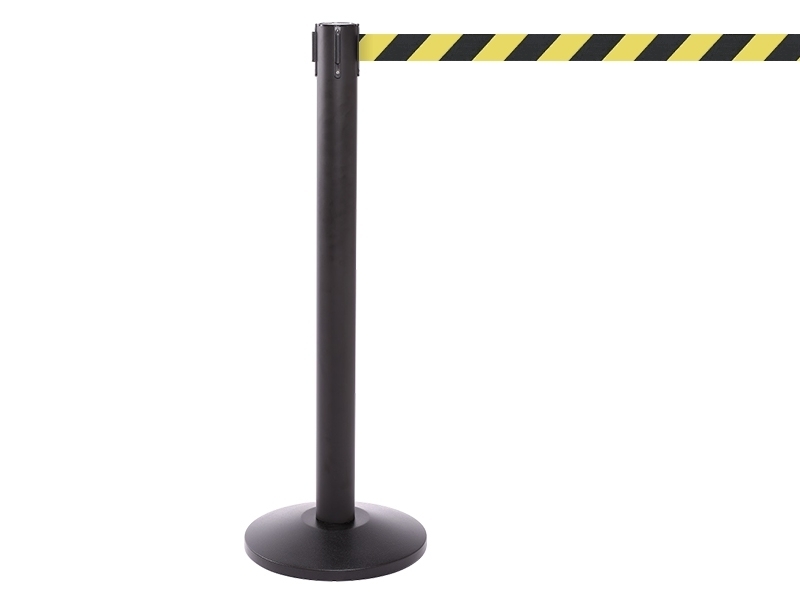 Regardless of whether you’re participating in an opening, a concert, or a social event, a pedestrian belt barrier can help you keep people in line and help ensure that the crowd continues to file past smoothly and safely. Where can this Retractable Barrier be used? 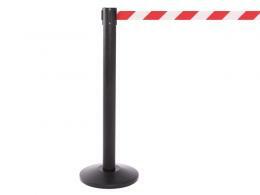 This belt barrier is designed to be used in all types of queuing circumstances, both indoors and out. The 11kg weight makes it sturdy enough to stand up to jostling while the 1015 mm post height render it tall, sturdy and visible for attendees. Additionally, this belt barrier features a solid 355 mm diameter concrete base, which means it can stand up to wet outdoor conditions or rest comfortably on an indoor carpet. Who might use this Pedestrian Barrier? 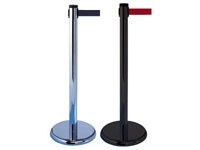 Ideal for ushers, valets and hosts, this belt barrier is designed for use in theatre, concert or museum settings to lay out the structure of lines, discourage people from pushing ahead and help people know exactly where to go next. Easy to set up and install, this belt barrier is designed for simplicity and a user-friendly experience. The most important feature of this belt barrier is its safety brake, which prevents the webbing from retracting suddenly and harming someone, in the event the barrier is jostled or tampered with. Complete with a 1-year warranty, this belt barrier also features a black powder coat finish and 4.9 metres of retractable chevron webbing available in black/yellow or red/white. For an easy user experience, the post belt barrier is delivered to you fully assembled within 2-3 working days. Perfect for your upcoming event, this belt barrier is a handy companion.